Combination vending machines provide the largest choice of snacks and drinks in one vending machine. The modern glass fronted vending machine dispenses chips, chocolates and drinks including healthy choices. 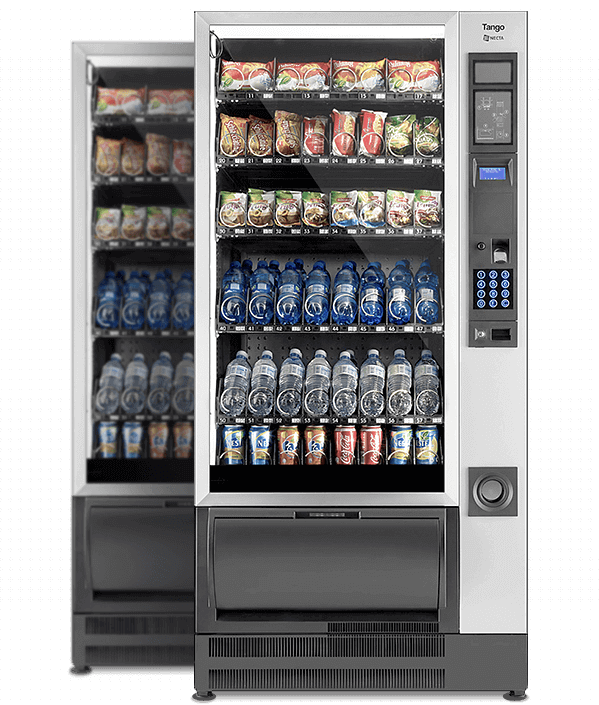 The combination vending machine Is ideally suited to sites with 50 to 100 people. Our machines are state-of-the-art, with a power saving option for reduced eco impact. To ensure client satisfaction the delivery bin sensor detects if the selected product is vended and in the event of a failed delivery, provides at the customer with a refund. 36 selections of drinks and snacks. This is our smallest combination vending machine. It is best suited with 50+ people on site. This machine is designed for sites with limited space. With 40 selections of drinks and snacks. This is a medium sized vending machine best suited to sites with 100+ people on site. Up to 50 selections of drinks and snacks. This is a large capacity combination vending machine for 100+ staff. This vending machine would be suitable for situations where you ideally would use a stand alone snack vending machine and a stand alone drink vending machine but you do not have the room. Here is the best alternative fit for limited space. "I just wanted to thank you for your services and arrangment re installation of the vending machine in Redfern. Our colleagues are really happy. Bruce was most helpful on the contract side of things." "Well this is excellent. Thankyou. Who thought vending machines could be so easy." "Thank you for the smooth installation and changeover of our vending machines." "I am stunned. Thank you for the prompt refund of my lost money in your vending machine. I thought it was gone forever. I never expected you would refund me." "Great variety of products... amazing service and response time... very friendly staff and very reliable." Your Choice Vending is a full service vending provider. 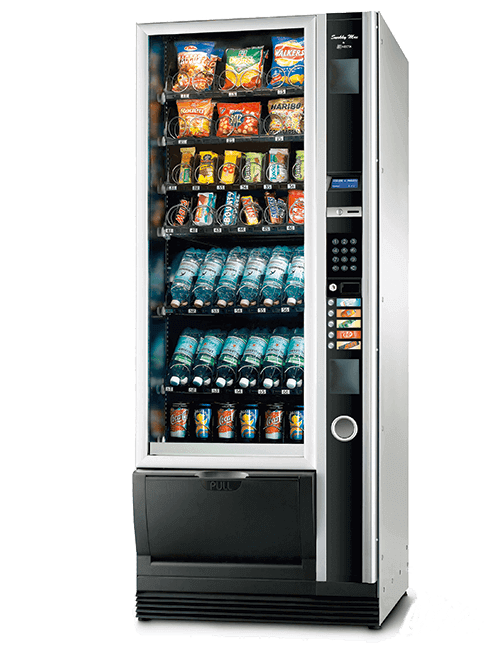 We install and service vending machines in a range of locations in and around Sydney, including workplaces, schools, hospitals, youth hostels and call centres. Our full service package includes installation, restocking, repairs and money handling, and we offer same day call out if you should ever have a problem. 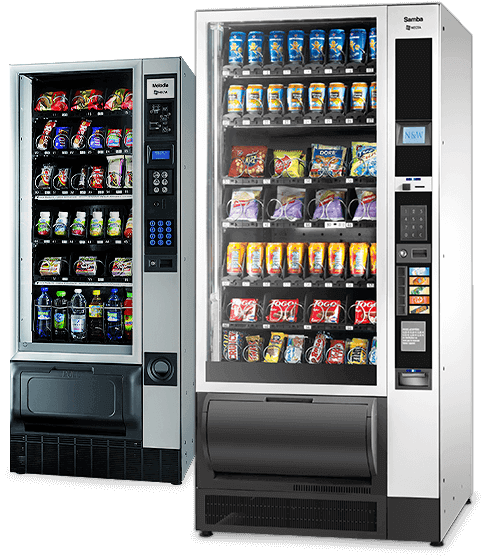 We provide our vending machines lease free to any business who needs them and give you the choice of which brands and flavours to stock in your machine, and we also offer an alternative range for those who prefer healthier snacks and drinks. We can refill your machine as regularly as you want, whether it’s everyday or once a week, and we try to respond to any service or vending issues on the same day we receive the call. So don’t buy a vending machine for your workplace. Call us at Your Choice Vending and we’ll loan you a vending machine for free while sharing the profit with you. Our client’s know they can depend on us to keep their vending machines fully stocked whether it’s daily or weekly. 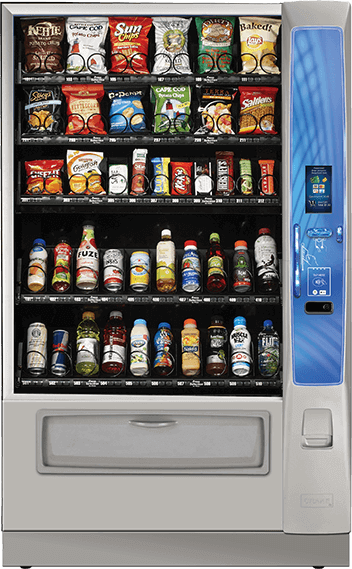 When it comes to vending machines, we offer the healthiest choices, backed up with first class service. shortly to discuss the options available to you.